I've become a trusted resource for just more than a thousand clients over the last twenty years. In some cases, those private client relationships began with a single person randomly reaching out, but then blossomed into entire colleague, friend, and family groups. Sometimes I think, "If I were a fly on the wall...."
For the Career Planner/Changer Program and Career Explorer Program, my style is in-depth, to put it mildly. I've developed a workbook over the past twenty years that isn't for everyone; however, for those who are ready, it serves as a crazy-good tool for discovery, introspection, and future-directed inquiry. I tend to leave few stones unturned, and when I turn up something new, I examine its importance and then often bake it into my process. Over the years, private clients and I have seen job types and titles come and go, industries built and obliterated, and trends rise and fall. Jared Redick presents to the May 2014 gathering of the University of California Humanities Research Institute in Berkeley. If you're not sure yet about spending several weeks or months over multiple, iterative exercises, conversations, and drafts, this page will help get a better handle on what to expect. I recently had a C-suite client come back after a full year. She wasn't ready at first, but couldn't stop thinking that it was time to put herself first, so she showed up a year later, ready to undertake my Career Planner/Changer Program. Turns out, she felt like the powerful ideas we surfaced together wouldn't have if she'd jumped right in. Family and leadership obligations at the time were too amorphous. My work for many years has been about identifying and framing the marketable intersection between a private client's background and the needs of their intended audiences. In recent years, it has evolved to include long-term preparation for growth and opportunity. Want to position yourself as a thought leader? Want to reverse engineer the steps needed to meet a stretch career goal? Want to be sought in 3-5 years as a public board director? These ideas and more often come to light, and strategies are developed, simply because they were adjacent to our larger task. That's probably a good example of "things I bake into my process" over time. As a teacher by training, now retired, one of the most satisfying parts of my work is when a client shares that they've learned something new. Some say they learned how to be a better writer simply by watching me—a concept that always makes me shake my head because I see myself as a constant student of clear writing. 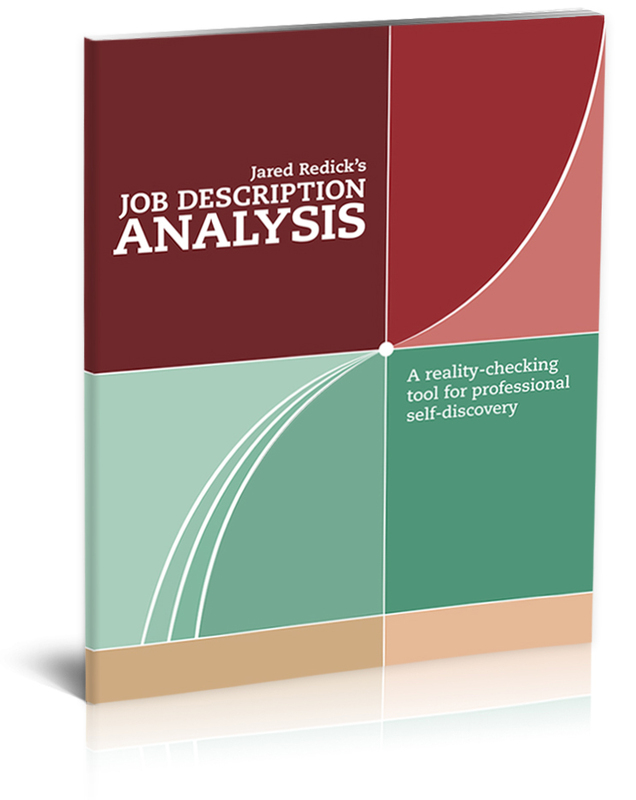 Others share that they learned not only about the "art and science" of job searching and the development of their own future-directed stories (including the levels of detail one should include in, say, a resume versus on LinkedIn), but also that some fundamental self-understanding evolved during our work together. I've come to almost expect those moments to happen, but you can never plan where they might happen, so their serendipity keeps the work fascinating.